Below you will find answers to frequently asked questions regarding hypnotherapy training and the Practitioner Diploma in Hypnotherapy. If you have a question that isn't answered here, please email our support team at support@hypnoticworld.com for a helpful response within 24 hours. What qualifications do I need to train in hypnotherapy? 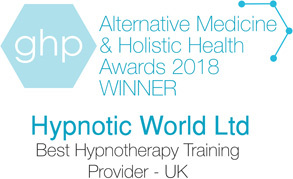 No formal qualifications are required to become a Hypnotherapist; for some people the aim is to help friends or family or just to satisfy their own curiosity - others go on to make a successful and rewarding career out of hypnotherapy. All you really need is a genuine interest and a desire to help others. An interest in psychology or counselling is an added bonus. Each new course year begins in either January or April and training takes place over 1 weekend per month for 10 months (there are no training dates in August or December). A list of dates for upcoming courses is available here. Will I meet other hypnotherapists? 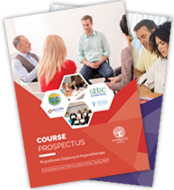 As the Practitioner Diploma in Hypnotherapy is classroom-based, you will meet and become acquainted with fellow students who share an interest in hypnotherapy. Many students enjoy entering into discussions, debates and personal chat about hypnosis and hypnotherapy, and are provided with the additional opportunity to discuss hypnosis-related topics on both the Hypnotic World forums and other, similar interest web sites. We will also endeavour to put you in touch with other therapists in your area and hold workshops and meetings regularly. You will also have access to our Student Forum where you can interact with others who are studying hypnotherapy with Hypnotic World. Where are the training weekends held? Training takes place in a choice of UK locations including London and Yorkshire. A list of available optional accommodation will be available upon enrolment. For a full list of training locations and a schedule for upcoming courses, see the Venues and Dates. There is no formal exam as you will be assessed by your course tutor who will offer guidance and help and support throughout your training, ensuring that you understand the concepts involved, are confident in assessing your client’s issues, developing an appropriate and suitable treatment plan and using the skills you have learned to help them to overcome these issues with the help of hypnosis. How is my ability as a suitable hypnotherapist assessed? 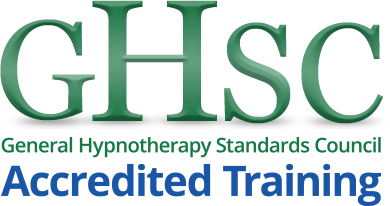 Your training is broken down into units that meet with the requirements of established hypnotherapy associations and your tutor will ensure you are competent and confident in each of these aspects before moving onto the next unit. If you have any additional questions that are not answered above, please let us know. Email us at support@hypnoticworld.com or contact our Support Team here.